I am a sixty-five year old, single gay man. I live on my own, with my dog Timmy, in a small terrace house in Ulverston, a market town in South Cumbria, UK. Until 2011, I never thought of writing anything. I started my book, Is it about that boy? 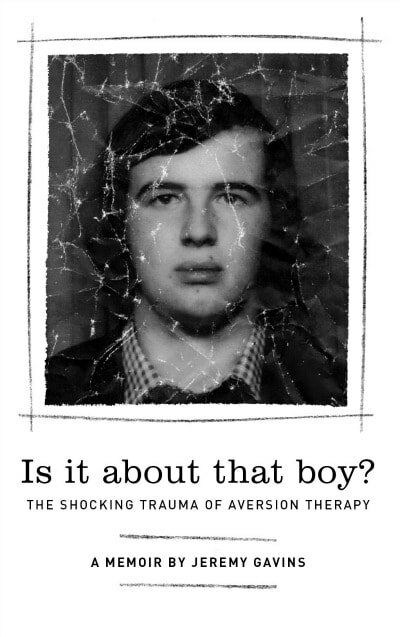 The Shocking Trauma of Aversion Therapy, to try to understand what happened to me in my teenage years. The book is a love story with dramatic twists. I fell in love with Stephen at age 16 and, although he died many years ago, I am still in love with him 50 years later. Why my love has stayed so intense over that time is the underlying story behind the book. I have started writing a second book about how my love of working with stone has affected my life. Indeed my natural ability to build dry stone walls saved my life. During my deepest depressions when I thought about suicide, it was stone in one form or another that I used as a crutch to keep going. I have lead a very physically active life, starting with playing rugby at age thirteen, mountaineering in my late teens, getting a labourering job in my twenties, rock and ice climbing, and then dry stone walling from the age of twentyfive. Dry stone walls are those built using no mortar, just stone and nothing else. During my walling career to present I have built nearly 10 miles of wall and lifting, by hand, over that time over 40,000 tons of stone. When you read my book you will understand why I have rejected all forms of traditional religion and embraced a kind of Earth-based, Shamanic spiritual form, involving meditation, incense making and burning, and Tarot reading.